Based on their industry research and analysis, Frost & Sullivan found that SIMCO provides an “unmatched customer service experience” and leads the industry in speed/timeliness of service, advanced quality execution software, and consistent global service. Read the Frost & Sullivan press release. To obtain the full Frost & Sullivan report about this award, complete the form to the right to download the report PDF file or contact SIMCO to receive the report via email. 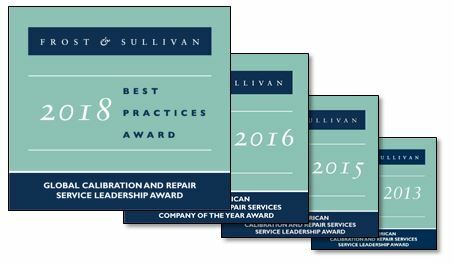 SIMCO was also awarded the Frost & Sullivan the 2016 Company of the Year Award for North American Calibration and Repair Services as well as the Frost & Sullivan North American Calibration and Repair Services Service Leadership Award in both 2013 and 2015 (biennial award).